Yes, both emotions shown were me, simultaneously! In short, SOUTHPAW tells the story of Billy “The Great” Hope (Academy Award nominee Jake Gyllenhaal), a former Hell’s Kitchen, raised “in the system,” foster kid who made good on the American dream – marrying the love of his life (Rachel McAdams), starting a family, and becoming the reigning lightweight boxing champion of the world. Hope’s world gets interrupted by a tragic event, that triggers an immediate downward life spiral. Abandoned by many closest to him, including his business manager – portrayed by Curtis “50” Cent Jackson – Billy is forced to confront his own demons and manage his actions in order to take back his life – which includes requesting help from a retired fighter/trainer named Tick (Academy Award winner Forest Whitaker). And I don’t know about you, but I believe Curtis Jackson – aka “50 Cent” – has grown into a really good actor. Did anyone catch him in 2011’s All Things Fall Apart? You certainly need to find and watch that one if you haven’t. I also mentioned that this is an Antoine Fuqua directed film, so expect it to be real, rough, and raw at times – especially with the fight scenes. Fuqua never pulls any punches, pun intended, when it comes to telling a story – so know that this one is not for the faint of heart, and takes you through a variety of emotions. I’m down to offer any scriptwriter/director my consulting services when it comes to portraying kids in courtrooms – okay, that’s all I’ll say…no spoilers, I remember! 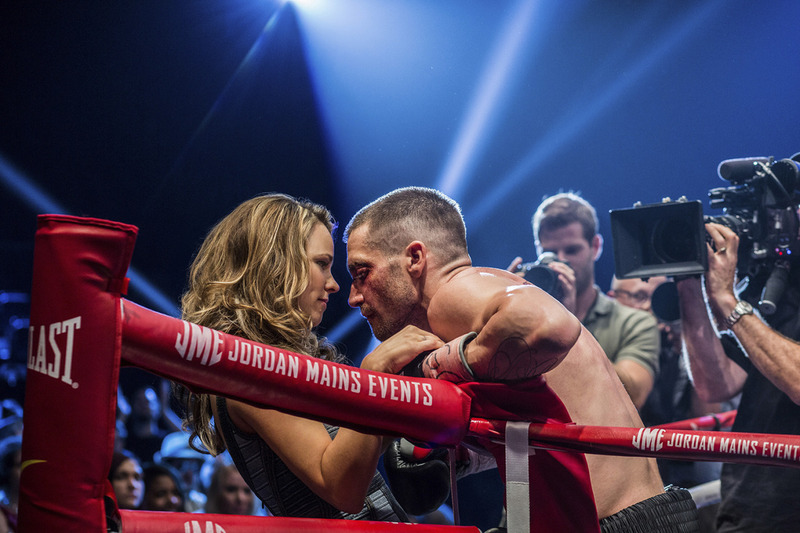 All-in-all, SOUTHPAW is an entertaining film with some great performances. It will feel familiar, because some things have been done before, but I still enjoyed it. You can watch a trailer for the film below and get additional info at the official website here.